Maisy is a geometric sans-serif typeface created by Cindy Kinash and published by Cultivated Mind. 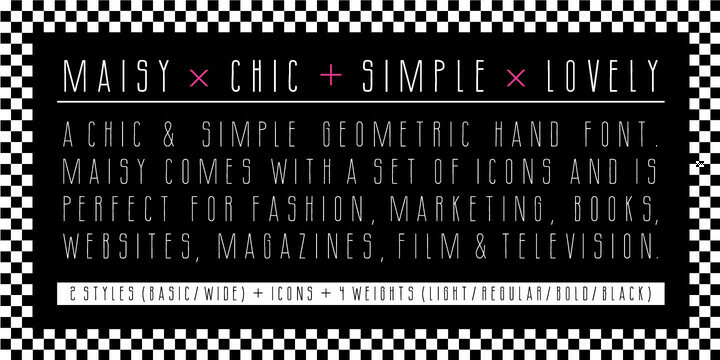 You’ll discover a set of icons perfect for magazines,books, posters, fashion, film & television. Enjoy! A font description published on Friday, March 29th, 2013 in Cultivated Mind, Fonts by Alexandra that has 3,618 views.